I could start this post by trying to write some eloquent thing about how life imitates art, and vice versa, but here’s the truth: what’s happening in 2018 feels increasingly unfathomable, and so I, like many others, have found comfort in drawing parallels to popular culture. Like the #resistance tweeters who tie red string between every new development in the horror show of modern day America and the world of Harry Potter, my new obsession is picking out all the similarities between Elon Musk’s ongoing fight with the SEC and the very good Showtime show Billions. Spoilers for, let’s say, all three seasons of the very good Showtime show Billions ahead, even though I just started season three. 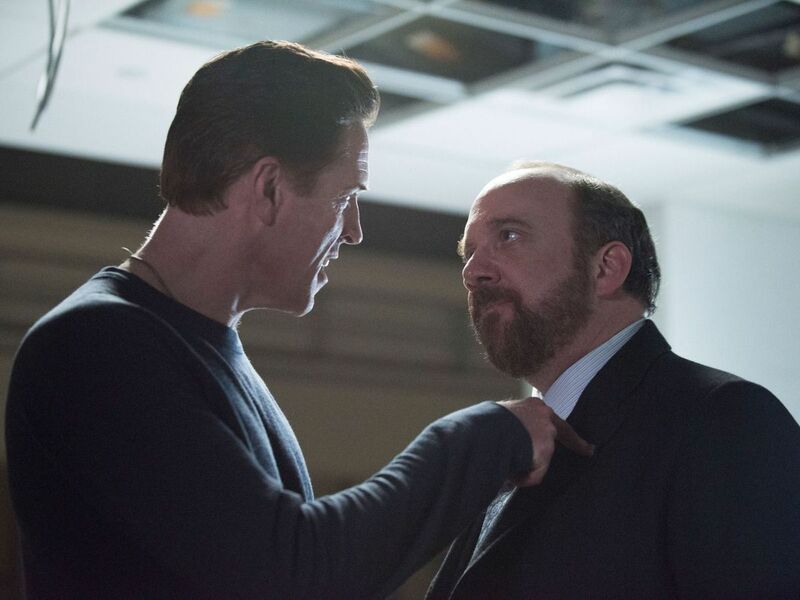 Billions revolves around two main characters. One is billionaire (ooh!) hedge-fund manager Bobby “Axe” Axelrod (Damian Lewis), who is the chief investment officer at his namesake operation Axe Capital. His foil is Charles “Chuck” Rhoades Jr. (Paul Giamatti), the US attorney for Southern District of New York State. Axe thrives on betting that certain companies will fail, which is how he made his billions (ahh!). But sometimes he goes a little too far beyond the law to make sure he’s right — or to make sure the company fails regardless of whether he was right in the first place — which is one reason why Rhoades, who worships justice, is so vehemently obsessed with taking him down. The SEC thinks Axe committed securities fraud / the SEC investigated Musk for securities fraud. Rhoades tries to bring a case against Axe in the Southern District of New York / the SEC filed charges against Musk in SDNY. Axe is a hedge fund manager who makes his living short selling stocks / Musk is not shy about how he hates short sellers. He hates them so much you could argue (as the SEC did a little bit in its official complaint) that it was part of the reason for his now-abandoned attempt to take Tesla private, which he announced on Twitter, which led to the aforementioned securities fraud charges. Halfway through season 1, Rhoades catches Axe’s firm trading on insider information. The two sides literally sit down at the table with a settlement that’s been structured and agreed to. But just before it’s ultimately finalized, hubris gets in the way and the settlement goes south and the two sides walk away. Axe was willing to settle the charges, right up until he wasn’t / Musk reportedly walked away from a settlement with the SEC before he ended up taking a deal a few days later. Like I said, I find the similarities comforting, because it reminds me there are ways to put finer lines on what’s happening with Musk if I just let myself go a little galaxy brain. The differences are also instructive! For all of Axe’s swagger, the showrunners paint him as a man who knew when to quit — or at least retreat until he had a new plan of attack. He was going to take that settlement and live to fight another day, at least before Rhoades taunted him. And Axe does seem to back off the throttle through a good chunk of season 2, at least until he sees another chance to strike at Rhoades. Not even temporary restraint is in Musk’s playbook. But Axe’s eventual swing at Rhoades is so big, and he takes so many risks in the process, that he walks right into a trap and winds up arrested. His contempt for Rhoades is somewhat blinding, in a way that doesn’t feel all that different from Musk’s hatred of Tesla short sellers. Both of them have this opposing force in their lives that they feel must be vanquished, and neither will stop until they feel that task is complete. In the process, all could be lost. As patient as Axe can be, he can’t let things go. Musk sure seems to be in the same boat. Axe sits down with billionaire Mark Cuban for advice in season 2 / Cuban called Musk to advise him to settle the SEC charges. We don’t know for sure how frequently Axe uses Twitter, but in one scene he dictates a tweet to one of his co-workers / Musk is Terminally Online and his addiction to Twitter is not only becoming the stuff of legend, it also seems to be helping him unravel. This could be a difference, but Musk is soon going to have a lawyer (and potentially a group of people) reviewing his communications. Aha! As far as we know, Musk doesn’t have a US attorney foil, or even one at the SEC, who is hellbent on bringing him down in the same way that Rhoades is obsessed with Axe’s suffering. SEC Chairman Jay Clayton has seemed to have been uncharacteristically involved in the Musk settlement, and publicly weighed in on the agreement with his own lengthy statement. The two sides settled, sure, but Musk has since used Twitter to mock the SEC (sure seems the terms of the deal regarding his Twitter usage don’t kick in until the judge approves the deal), so who really knows? Maybe Musk’s tweets have Clayton steaming. And don’t forget, there is another SEC investigation ongoing into Musk and Tesla’s predictions and proclamations about Model 3 production. In closing, I am not uncertain that Bobby Axelrod would short Tesla.